Turn the Tables on the Dealer in ‘Hand of Fate 2’s Modding Contest… Right Now! 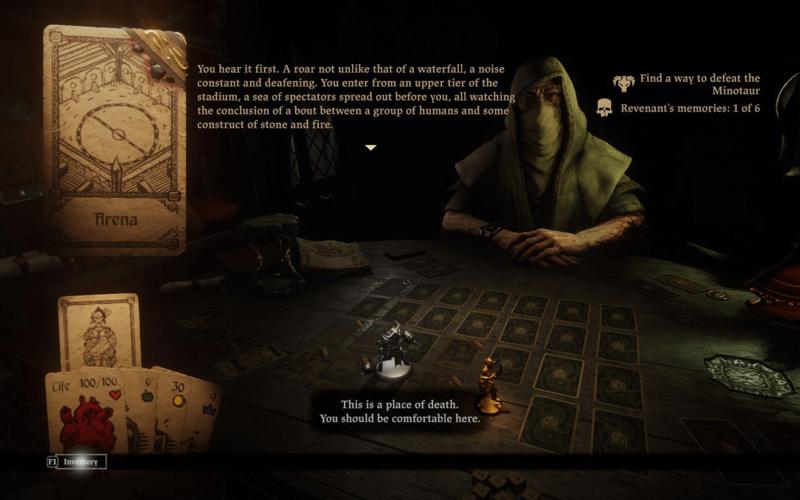 It’s been a while since choose-your-own-adventure RPG/deck-building hybrid, Hand of Fate 2, got its very own set of mod tools (remember? ), and in the time since, many an odd player have been hard at work making all kinds of new fancy things for the game. Quite a few in fact, but… one can never have too much player-made content for an experience such at the one provided within this lovely sequel, so it is quite fortunate that its creator decided to unleash a modding contest upon its fans today! Disclaimer/credit where credit is due: above picture is from the lovely Labyrinth mod, by shiva. So, what triggered this whole contest thing? Well, a recent patch that I neglected to cover (sorry! ), added the Briarfolk and that… is what this is kinda about. More or less. From today, September 17, until October 15, Hand of Fate 2 fans/modders are encouraged to create “a single encounter, encounter-chain, challenge, companion, you name it” – long as it features the Briarfolk in some major way. Oh, and it has to be uploaded to Steam Workshop, of course. As for what’s up for grabs, well, how about something Kickstarter-exclusive, like the limited run special edition of Hand of Fate: Ordeals, signed by the team at Defiant? Now you’re interested, eh? Fire up that Game Master’s Toolkit then and get to work! Don’t forget to check out the workshop forum for tips, tricks, and of course, discussions, regarding Hand of Fate 2 modding in general. Just don’t forget that it is still a competition. Got all that? Go turn the tables on the Dealer and show him how it’s done, then! Hand of Fate 2 is available on Steam, Xbox One and PlayStation 4.